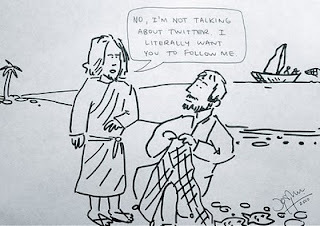 Cartoon by Pastor Josh Harris of Covenant Life Church in Gaithersburg, MD who describes himself as "... the half-breed descendant of Alabama rednecks and Japanese immigrants. So I like my sushi deep-fried. More importantly, I'm a Christian whose life has been transformed by Jesus Christ. I work full-time as a pastor doing my best to tell people about Jesus and to teach them how to live for his glory." 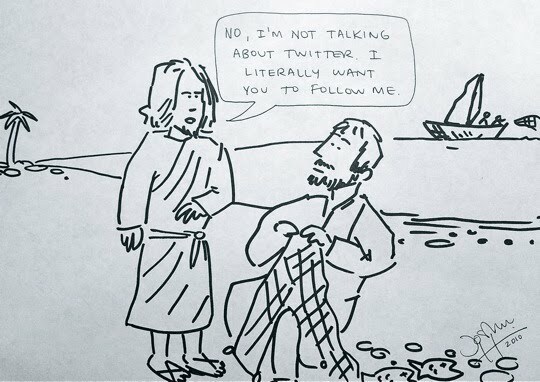 You're also a pretty good cartoonist, Pastor Harris.